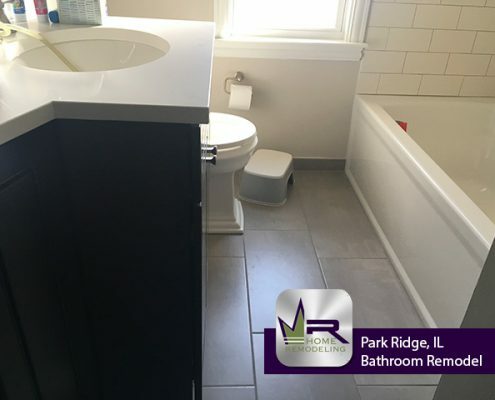 This home in located in Park Ridge near the intersection of W Talcott Rd and S Greenwood Ave. Park Ridge is a charming, tree-lined Chicago suburb just 14 miles from downtown. Park Ridge sits in a great location as it is very close to downtown, but is also extremely close to O’Hare International Airport, railroad transportation, as well as all major expressways making it an outstanding place to live for commuters. 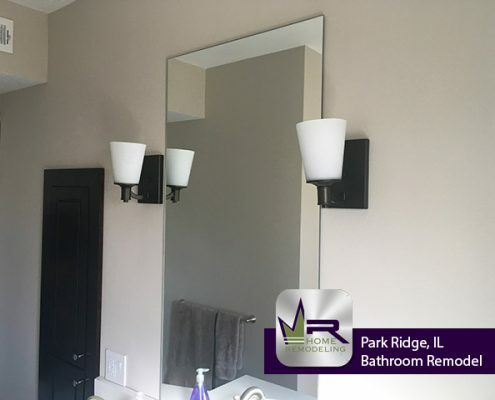 Park Ridge lies south of Des Plaines, west of Niles, north of Norridge, and east of Elk Grove Village. Park Ridge is well-known for its beautiful downtown area that is filled with unique shops, delicious restaurants, and wonderful company. 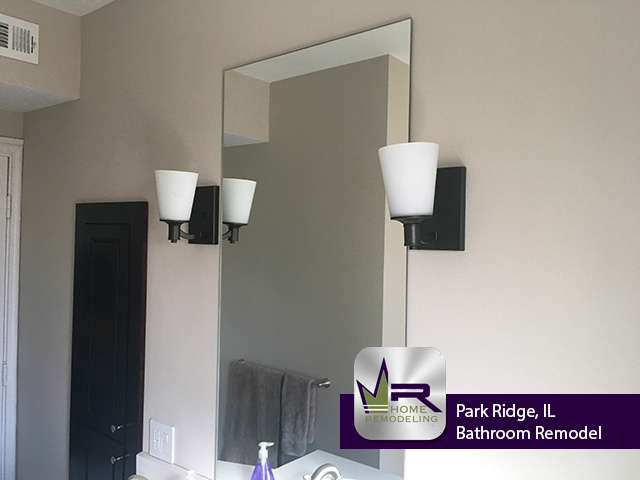 The homeowners of this lovely Park Ridge home were interested in updating their hallway bathroom. 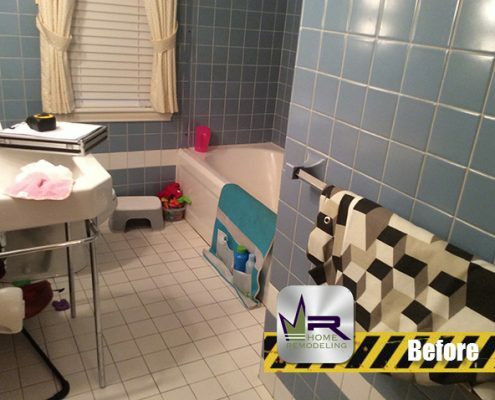 The main issues of this bathroom were the lack of efficiency as well as the very dated color scheme. 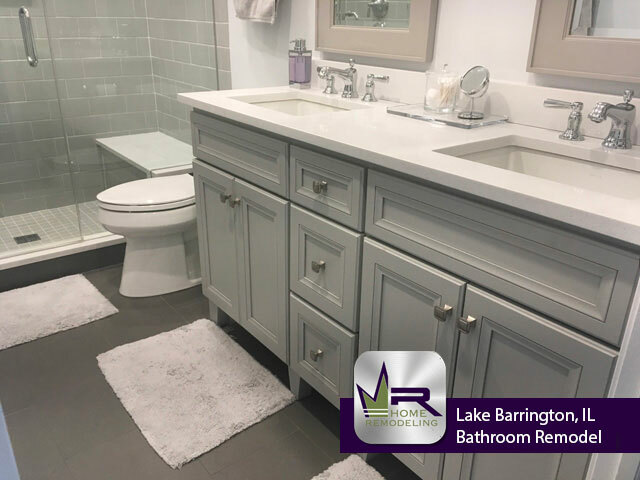 The customers wanted Regency to create a bathroom that would be more practical for everyday use and that would have a more modern and welcoming appearance. 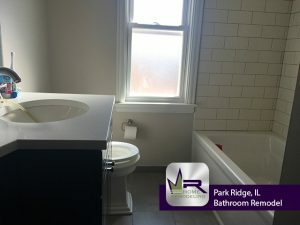 To begin this renovation, Regency would need to completely gut all existing finishes- flooring, wall tiling, sink, necessary plumbing and electrical wiring, and fixtures. 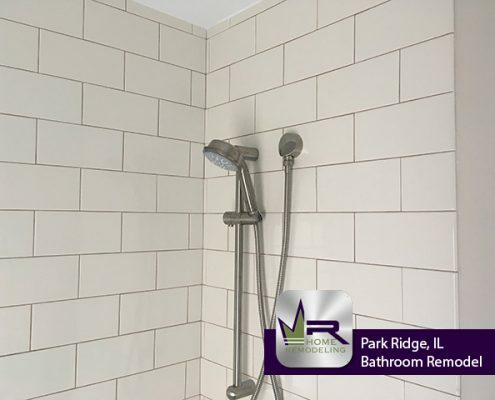 The main goal of this renovation was to completely transform the bathroom into a space that the homeowners would be able to enjoy for years and years to come. 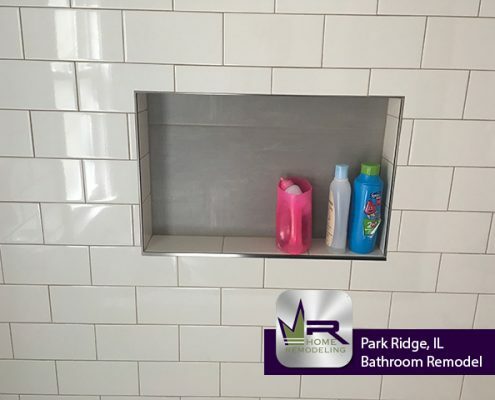 This new bathroom looks incredible. 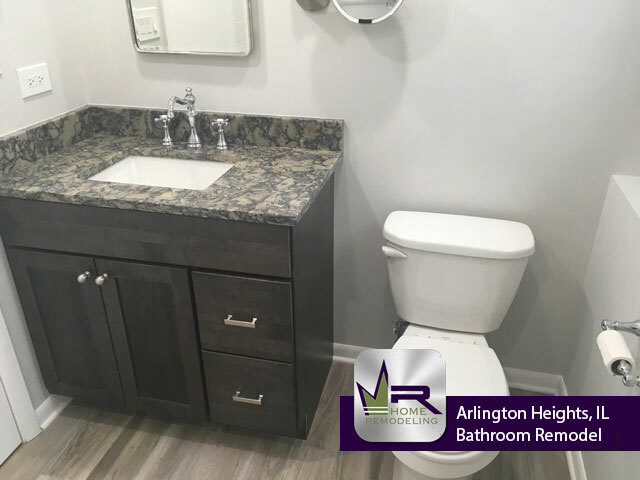 Regency went above and beyond the customers expectations and created a bathroom space that will not only be more enjoyable to use, but is also much more stylish and sleek. 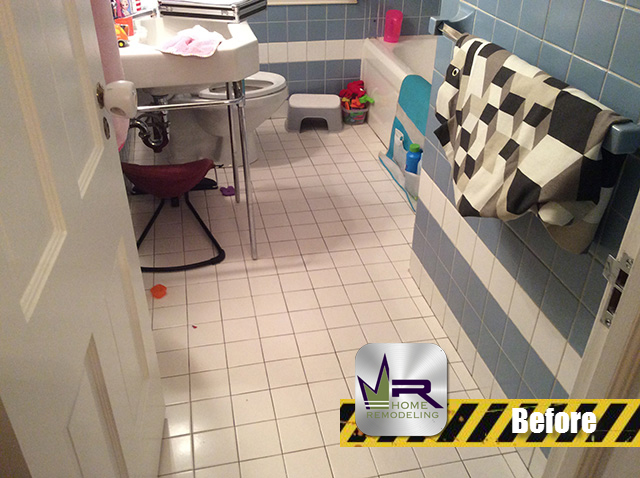 Through the new finishes, a modern and sleek appearance was created. Since the previous bathroom had a sink without a vanity, it was necessary for a vanity to be installed during the remodel. 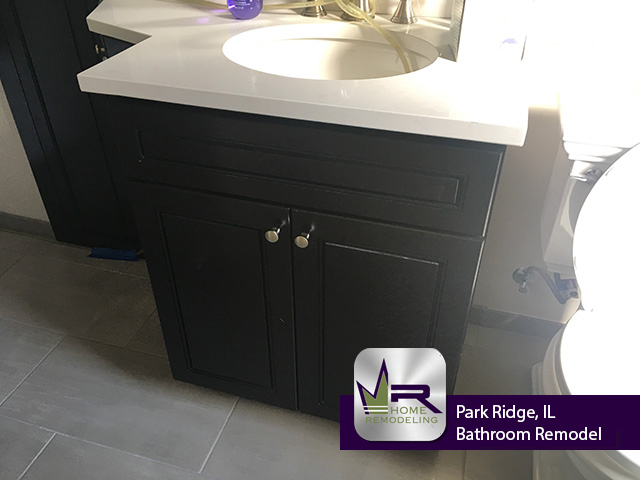 The cabinet part of the vanity was supplied by Regency and is Espresso Maple. The countertop was supplied by Daltile and is White Sand Quartz. 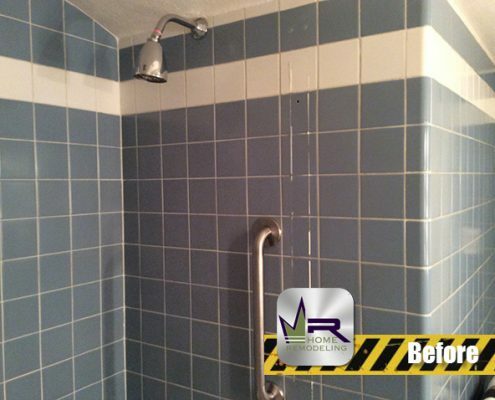 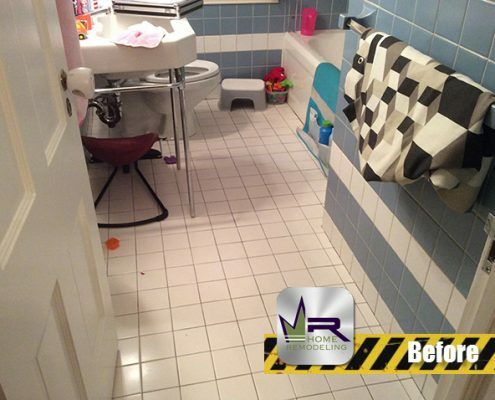 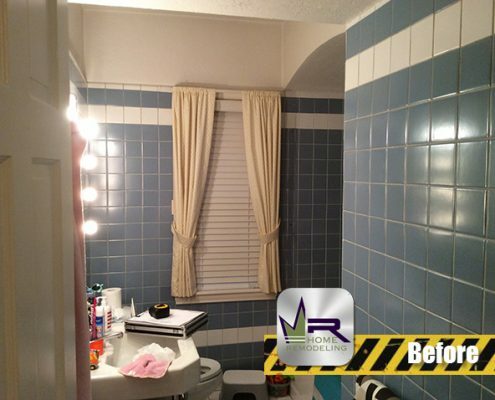 Since the customers wanted the color scheme to be updated, it was very necessary to get rid of the blue tiling that filled the walls of the bathroom. 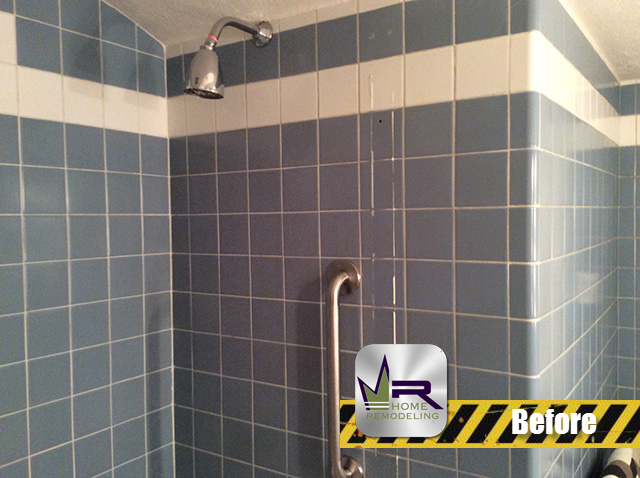 To replace this, Regency painted the walls a beautiful light gray that helps create that modern feel. 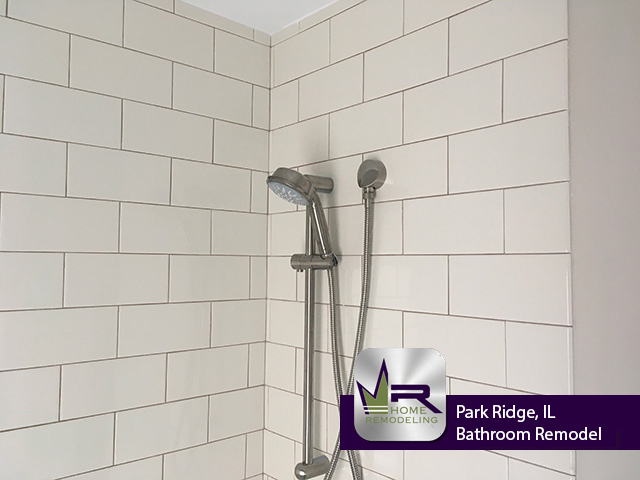 For the shower walls, Biscuit Modern Dimensions tiling was used that perfectly flows with the color of the walls and the rest of the bathroom. 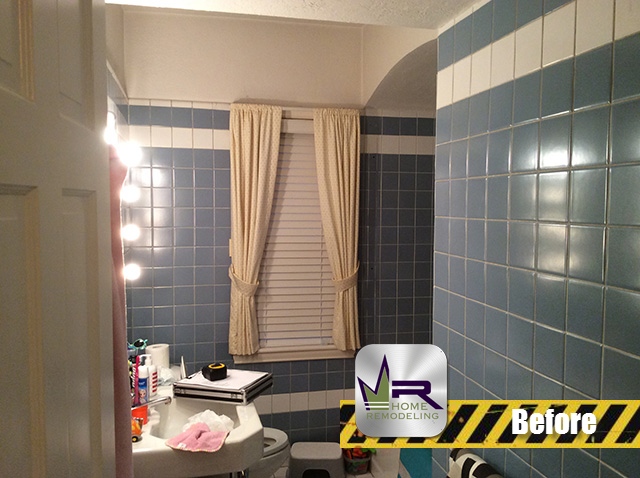 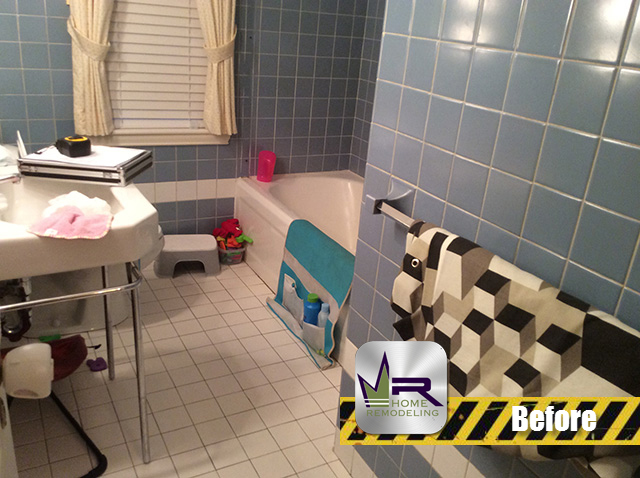 Overall, this bathroom renovation came out great. Regency successfully created the bathroom this family was hoping for- a bathroom that is very practical for everyday use as well as luxurious and sleek. 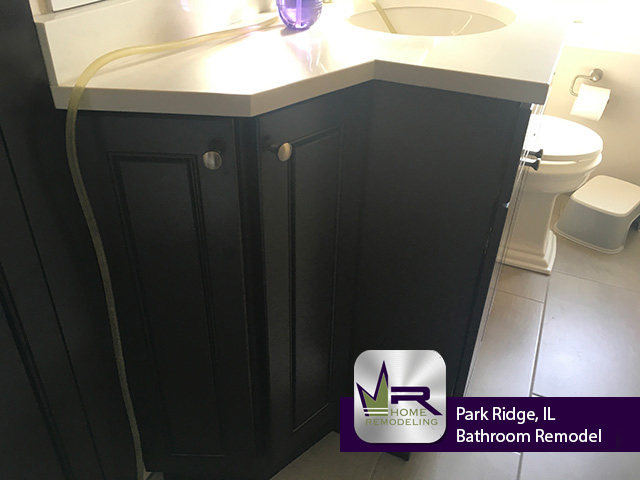 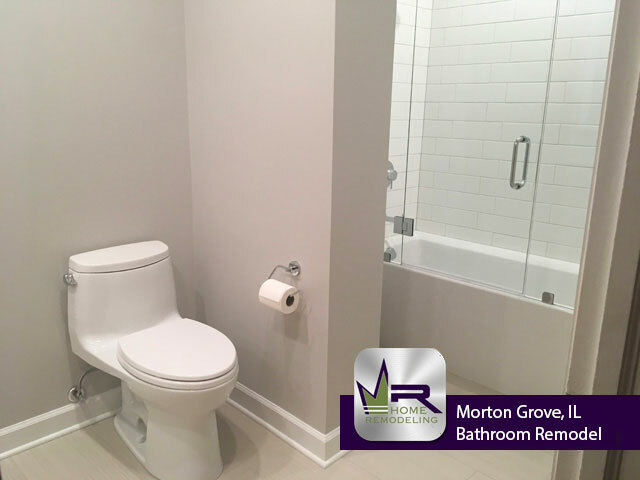 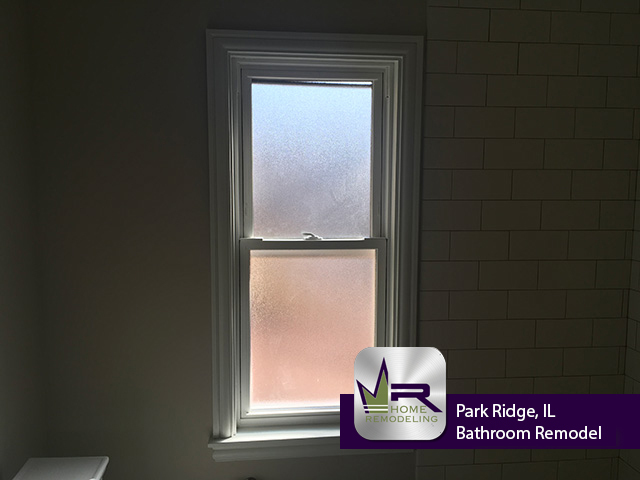 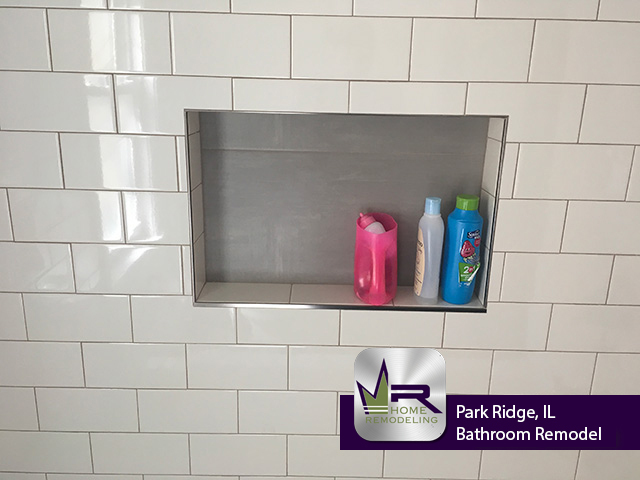 If you want a bathroom remodel in Park Ridge, IL call the experts in home improvement, Regency Home Remodeling, at 1 (773) 930-4465.